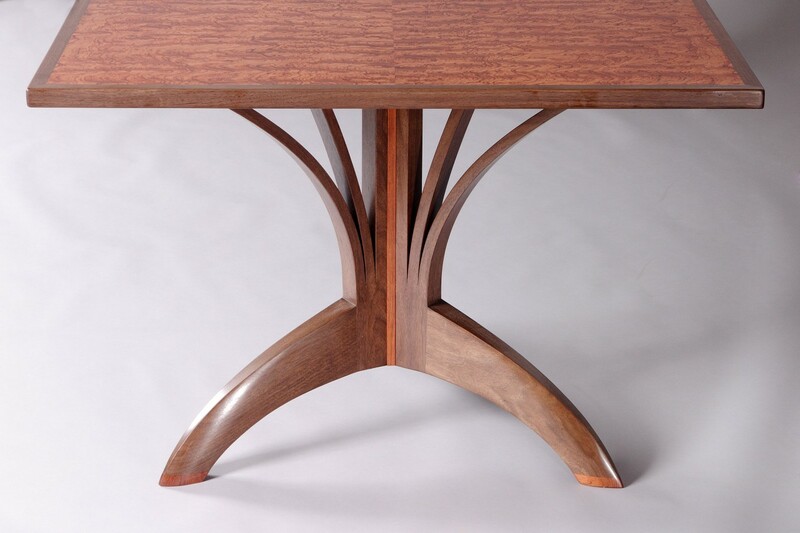 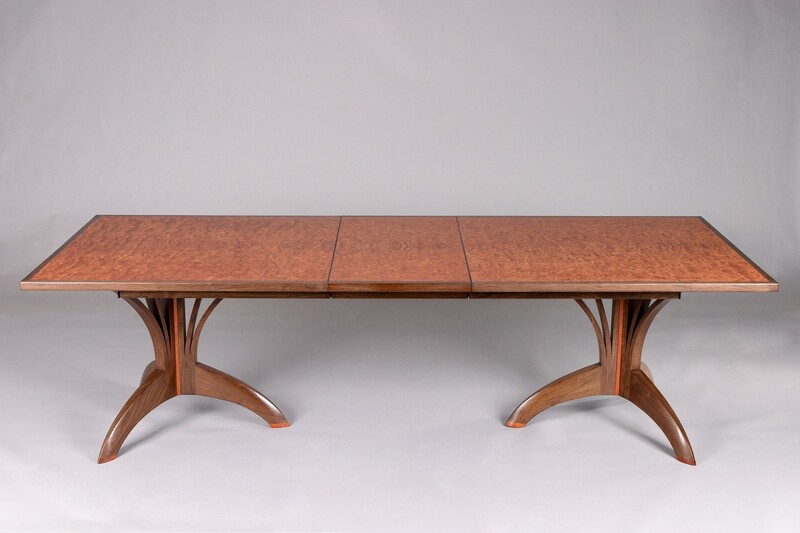 The Smith Dining Table is a rectangular hardwood dining table supported by two sturdy walnut tree-form pedestal bases. 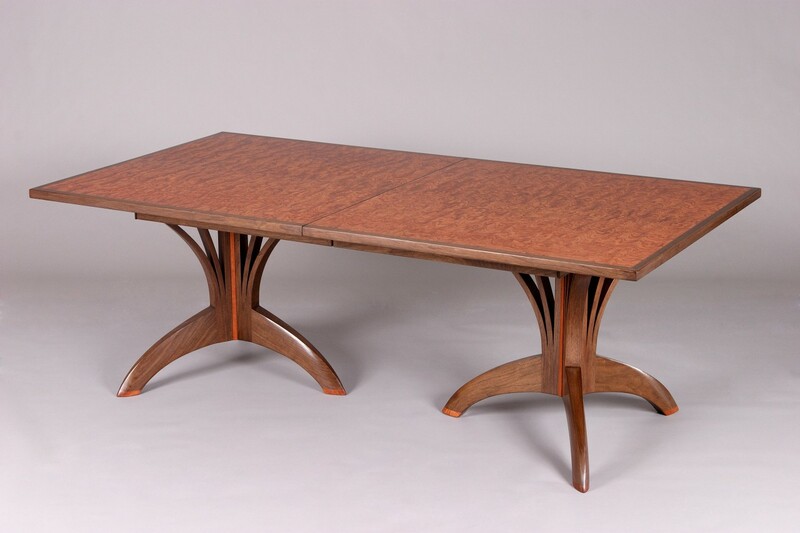 It features a beautiful figured bubinga veneer top which is framed in solid walnut. 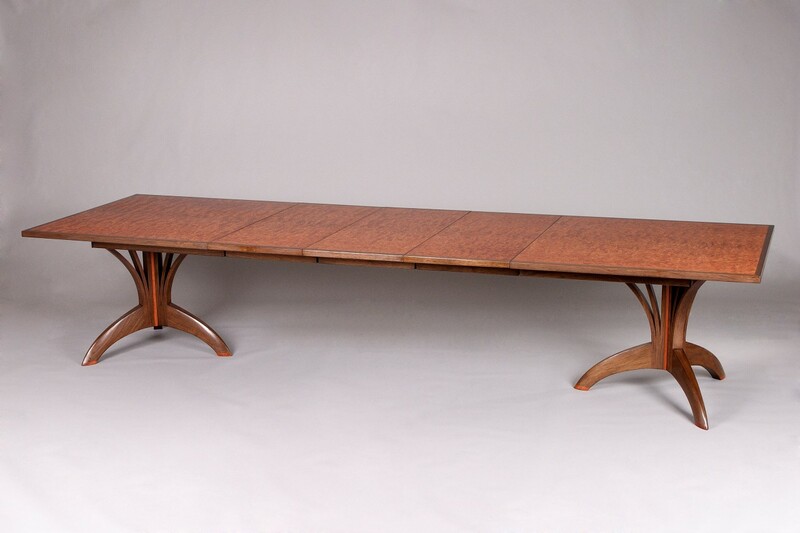 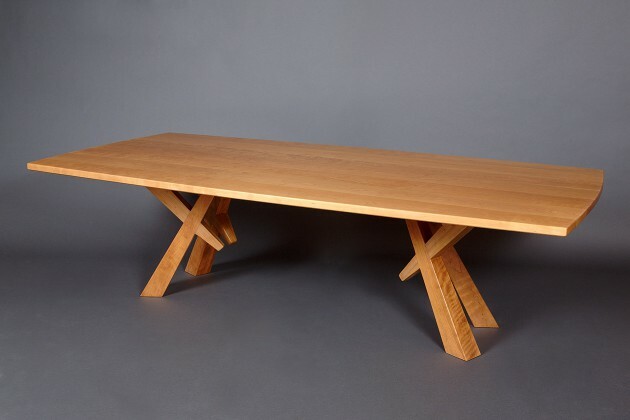 The Smith Dining Table can be built as an expanding dining table with the two bases separating, allowing this table to expand up to 12 feet long. 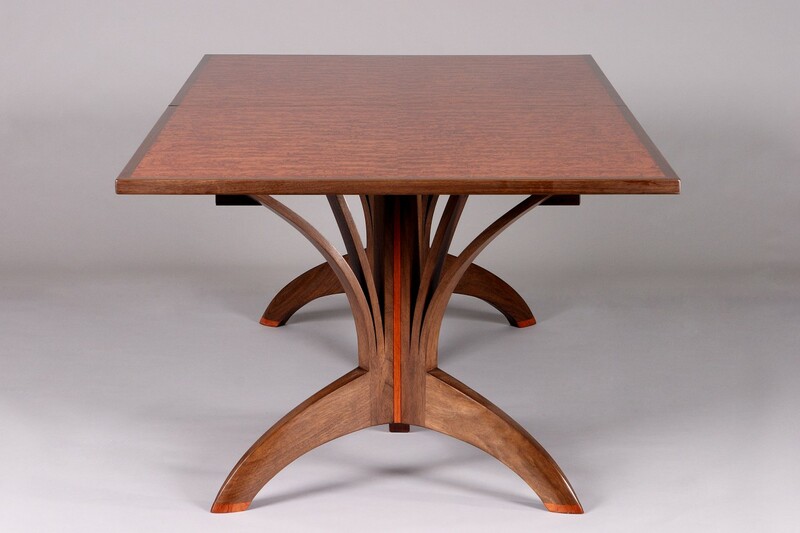 I have made a similar round cafe table version, the Arbol Cafe table, that is ideally suited to kitchens or small dining rooms.